By submitting your information you agree to be contacted electronically including text, email, and phone call. 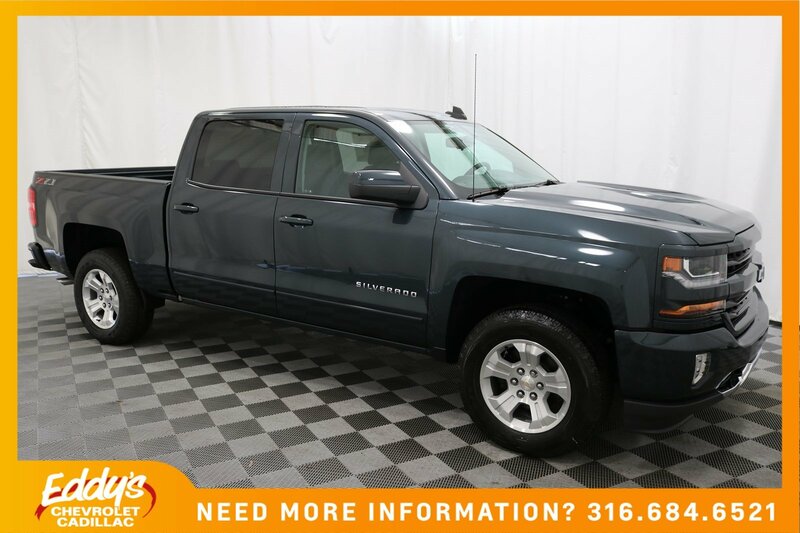 Please enter your information below to have a salesperson contact you about this vehicle! 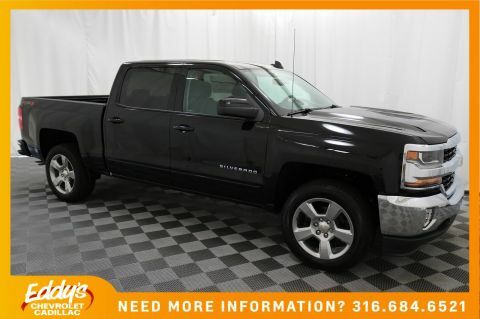 For Crew Cab and Double Cab,; includes (AG1) driver 10-way power seat adjuster with (AZ3) bench seat only, (CJ2) dual-zone climate control, (BTV) Remote Vehicle Starter system, (C49) rear-window defogger and (KI4) 110-volt power outlet; ((N37) manual tilt and telescopic steering column included with (L83) 5.3L EcoTec3 V8 engine. With seek-and-scan and digital clock, includes Bluetooth streaming audio for music and select phones; USB ports; auxiliary jack; voice-activated technology for radio and phone; and Shop with the ability to browse, select and install apps to your vehicle. Apps include Pandora, iHeartRadio, The Weather Channel and more. New vehicle pricing includes all offers and incentives. Tax, Title and Tags not included in vehicle prices shown and must be paid by the purchaser. While great effort is made to ensure the accuracy of the information on this site, errors do occur so please verify information with a customer service rep. This is easily done by calling us at (316) 689-4310 or by visiting us at the dealership. 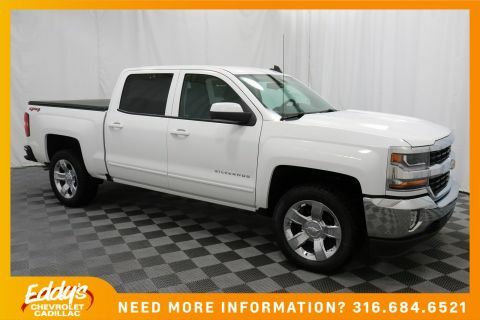 *Must finance with GM Financial & must trade in an ’09 or newer unblemished title vehicle. All offers are plus $399 Admin Fee and Sales Tax. By submitting your information through our website, you agree to be contacted electronically including text, email, and phone call. Audio system, Chevrolet MyLink Radio with 8 diagonal color touch-screen, AM/FM stereo with seek-and-scan and digital clock, includes Bluetooth streaming audio for music and select phones; USB ports; auxiliary jack; voice-activated technology for radio and phone; and Shop with the ability to browse, select and install apps to your vehicle. Apps include Pandora, iHeartRadio, The Weather Channel and more. 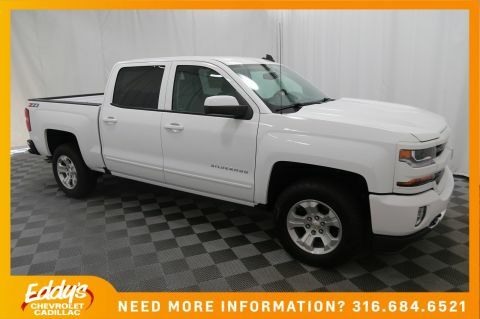 ALL STAR EDITION for Crew Cab and Double Cab includes (AG1) driver 10-way power seat adjuster with (AZ3) bench seat only (CJ2) dual-zone climate control (BTV) Remote Vehicle Starter system (C49) rear-window defogger and (KI4) 110-volt power outlet ((N37) manual tilt and telescopic steering column included with (L83) 5.3L EcoTec3 V8 engine. At Eddy’s Chevrolet , our entire team works together to provide you with the ultimate Chevrolet shopping experience. We are here to exceed your expectations, deliver the best service possible, and make car shopping fun again. Eddy's Chevrolet Cadillac	37.67813, -97.234499.